Have you ever wandered into a pet store only to discover they have little to no products for your beloved cat? Not all pet stores are created equal, so if you’re looking for the best places in San Rafael to shop you’re your cats, check out our recommendations below! Pet Food Express in San Rafael, California, not only has a wide range of products your cat will love. they also have a long history of community support through pet adoption. We love the idea of supporting organizations that not only help us take care of our kitties, but they help other kitties find their forever homes. Over the years, they have helped more than 15,000 dogs, cats and small animals via adoption events at our stores and through the eleven permanent cat adoption centers! Another clue that it’s a great place to shop is their online Community Veterinary Clinic that specializes in kitten and cat care. The online reviews rave about what a great place it is to shop! I like the simplicity of this place. You walk in, find what you need and skidaddle out. And if you decide to linger, there’s only so many aisles to wander through which is a good thing when you have your family waiting for you to hurry home. People may assume that a large retailer won’t provide great service, but the Petco in San Rafael has a reputation of delivering great service in addition to a huge selection. Their reviews from cat owners and the public alike are largely positive and there’s no denying their extensive offering of cat food, toys, and furniture. They even have grooming onsite to help particularly furry felines maintain their best look. Another advantage to buying from a larger retailer like Petco is their rewards program and coupons. After all, the more money you save, the more treats you can buy your cat! A great place to get my cats favorite food. Red Hill caught our eye because of its long list of cat-specific products. That makes spoiling our feline companions easy. But it’s clear from online feedback that great customer service is their other area of specialty. If in their expansive offering of cap products, you can’t find what you are looking for, their friendly staff will order it for you. Who doesn’t love supporting a local business whose focus is so obviously on the customer? 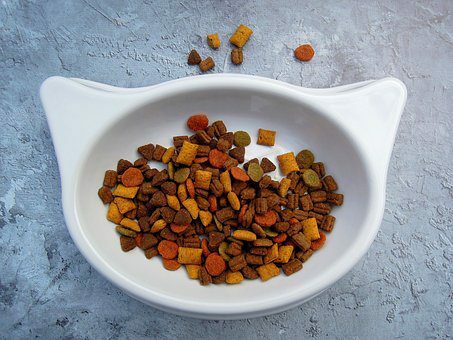 Small but packed with a lot of premium pet food choices. locally owned \operated. If they don’t have what you’re looking for, ask Elvis to order it for you! If you’re interested in looking around for additional stores in your area, here are a few tips for looking for a cat-friendly place to shop. See what products they carry – they’re usually listed on the website. If they don’t feature cat products, it’s unlikely they will have much for you to choose from. Look for specific cat categories on their website and social media posts. If they are talking to cat owners online, they’re stocking their shelves for you, too! Did we miss your favorite cat store in San Rafael? Leave a comment with your recommendation!